Bisha Hotel & Residences Toronto is the first introduction of the Bisha Hotel brand, with its Toronto location being the flagship property. 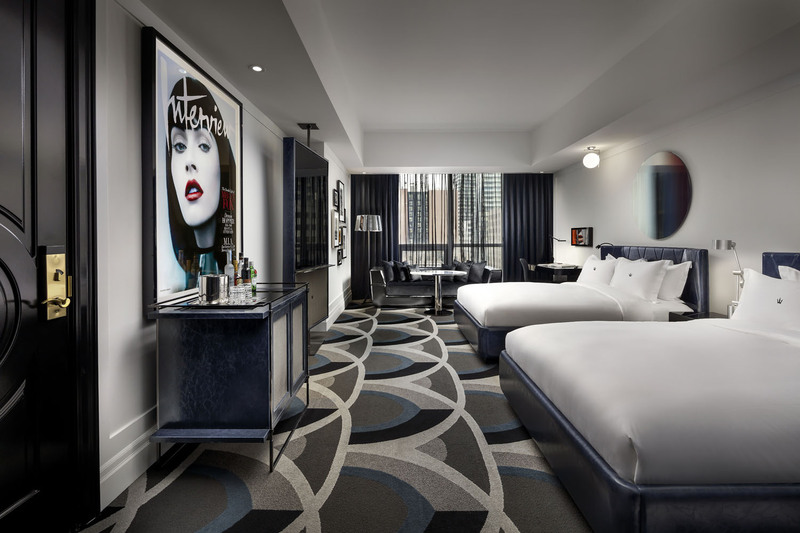 Developed by Lifetime Developments, together with INK Entertainment, Bisha is the newest private-label boutique hotel brand to originate in Toronto since the Four Seasons in the 1960s. Piercing 44-storeys above Toronto’s Entertainment District is an entirely new standard of elegant private residences and boutique hotel environment designed by Rudy Wallman of Wallman Architects. With its world-class dining venues including Akira Back and KOST, unparalleled services, and unique cosmopolitan amenities, residents and guests are at home surrounded by the finest finishes and attention to detail. Where history meets the present, transparent glass and steel extensions soar above a preserved façade of the former red brick clad and stone trimmed heritage building at the base of Bisha, all seamlessly emphasized by the stone and masonry base. Japanese artist, Jun Kaneko, created two 7-foot-tall Untitled Heads – one with facial features defined, one without – to welcome visitors to the building while referencing the ubiquity and anonymity of urban living and word travel. Alessandro Munge of Studio Munge designed the interiors of the building, including the hotel rooms, restaurants, lounge areas and amenity spaces to reflect the sophistication of its residents and guests. Lenny Kravitz, international rock legend, of Kravitz Design Inc. designed the top floor of the hotel suites and an exclusive two-storey Rockstar suite, inspired by the essence of his music, art and travel. Interior Designer: Studio Munge / Kravitz Design Inc.